Getting money for the arts is no easy task nowadays. It’s increasingly common for creators to turn to crowd-funding in the hopes of gathering enough money to complete or distribute a project. 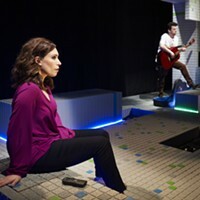 This is the case with Two Lines, a play written by Lola Hughes and co-directed by Hughes and Kauleen Cloutier. Hughes wrote the one-act play as part of her senior project at Indiana University of Pennsylvania (IUP), where she graduated from in May. 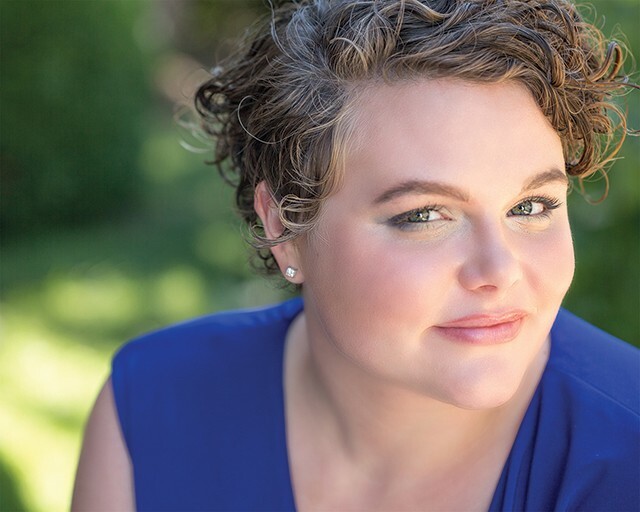 She first staged it with IUP students before submitting to the Strawberry One-Act Festival at the Riant Theater in New York, now in its 32nd year. When it was accepted, she started a GoFundMe to cover travel, props, theater rental, festival fees, and other expenses. “We just wanted some help and support since we're not an actual theater company; we're just a troupe right now,” says Hughes. The cast, made up of local actors, begins rehearsals in January at the Glitter Box Theater and will head to the festival in March. The festival includes multiple rounds with audiences voting for their favorite plays. The winner has the opportunity of a run at the off-Broadway venue. Two Lines is a dramedy that follows a former couple who gets together for a one-night-stand. After the girl gets pregnant, the couple has to decide whether to keep the baby or have an abortion. Hughes notes that, although the topic might be prickly to some, she wanted to give it a more positive twist than is typically depicted in popular culture, where most often women keep the baby or give it up for adoption. “I don't want it to be like Juno. I feel like there's a lot of negative connotation with abortion,” says Hughes. 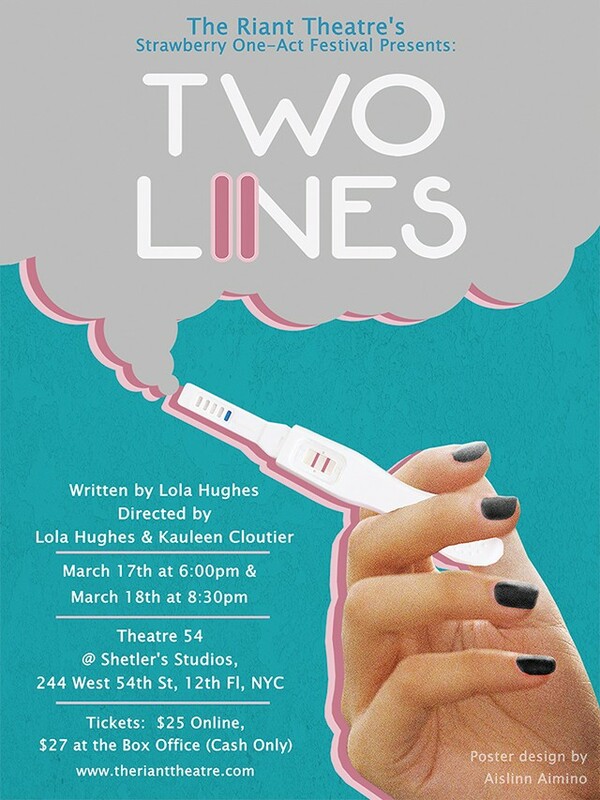 The poster, which depicts a hand holding a pregnancy test like a smoking joint, is a nod to how the play also tackles weed culture. “The main guy is a pothead, and at first you just think, 'Oh he's just a lazy pothead,' but as the play goes on, you find out that he has depression and self-medicates,” says Hughes. The GoFundMe has not been as successful as Hughes would have hoped. After launching around two months ago, only two people have contributed a total of $45, out of a total goal of $2,100. 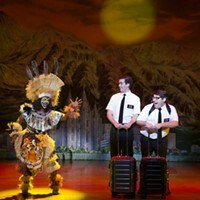 But Hughes says that the show will go on, regardless of whether or not more money is raised. 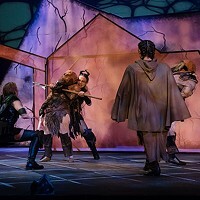 While the play has no set plans for a performance in Pittsburgh, Hughes hopes to arrange a preview before the festival for the local community.